A lot of times in articles and blogs written about addiction, interviews on television and radio and more often than not in treatment center call centers and rehab admissions departments the phrase “I know what you’re going through” or “I know how you feel” is said to the parents of addicts. 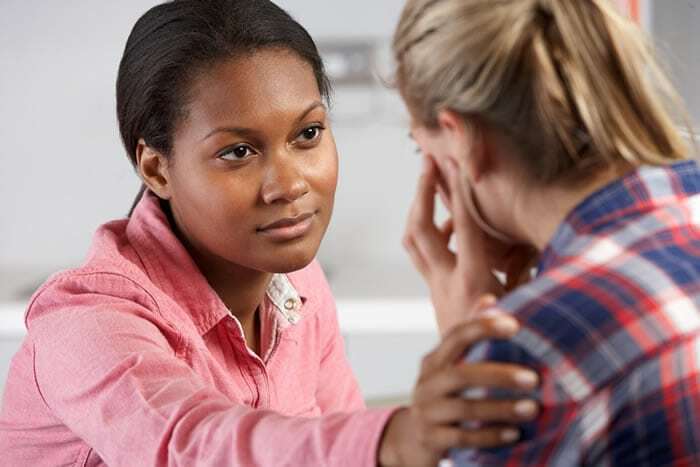 In what may be the most difficult situation they’ve experienced or the midst of a crisis, parents turn to addiction experts or treatment centers for help and in trying to calm or ease the parent’s anxiety and fear, the person on the other end of the phone in an honest attempt to be helpful say “I know how you feel” or “I understand and I know what you’re going through.” If you are that person, I beg that you stop. I understand you have a sincere desire to be helpful and are truly trying to support the parents dealing with their addict or alcoholic son, but I implore with you to stop saying those words, because you don’t know how they feel and you don’t know what they are going through. Unless someone is a parent, they have no idea what it is like to be a parent or to raise a child. Furthermore, unless someone is a parent of a child suffering from addiction, they literally have no idea what it’s like to deal with the pain, agony, loneliness and helplessness that occurs as the parent of an addict. Those that have not walked in those same shoes can sympathize and can attempt to empathize, but unless they have had the same experience, they truly do not know what it feels like or know what those parents are going through. And saying that you do, while you mean well, rarely will help. Instead, a better way to go about talking to parents suffering with a child in active addiction would be to be honest. Tell them that you do not know what they are going through, but you’re here to help or support them in any way you can. Tell them that you couldn’t imagine the fear and pain and frustration and despair that they deal with every single day. Tell them you have no idea what it’s like to go to bed and being unable to sleep for fear and worry that your child may not be alive come morning. Tell them you couldn’t begin to fathom that having your child locked up in a jail cell would actually offer you comfort and relief, because at least you would know where you child is and that they were safe even for a single night. Tell them you don’t know, but you’re here to help anyway. People are typically good-hearted and kind and want to be helpful. However, sometimes it’s best to be honest. When a parent calls looking for help because their child is suffering from addiction, the best way to handle that is, unless you’ve been through it yourself, tell them that you have no experience with what they are going through, tell them you would never begin to say you know how they feel, but that you’re here and you’re willing to get them and their child the help they so desperately need. Because although sympathy and empathy is nice, what parents really want and need in these crisis situations is for someone to walk with them in getting their child into treatment and into recovery and that you’ll be there with them every step of the way.